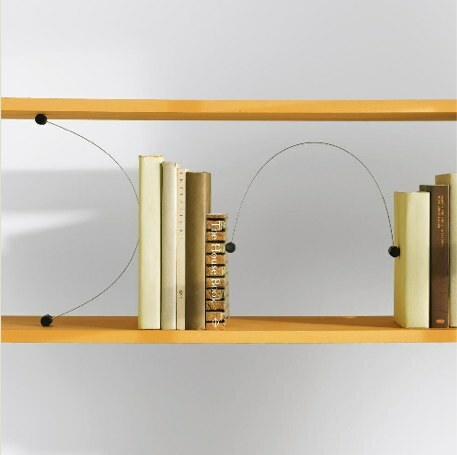 Definitely a unique way to hold your books, these bookends bend and curve between the books or the shelves. Depending on your shelves setup, they can be used in many different configurations. Comes in a set of two.